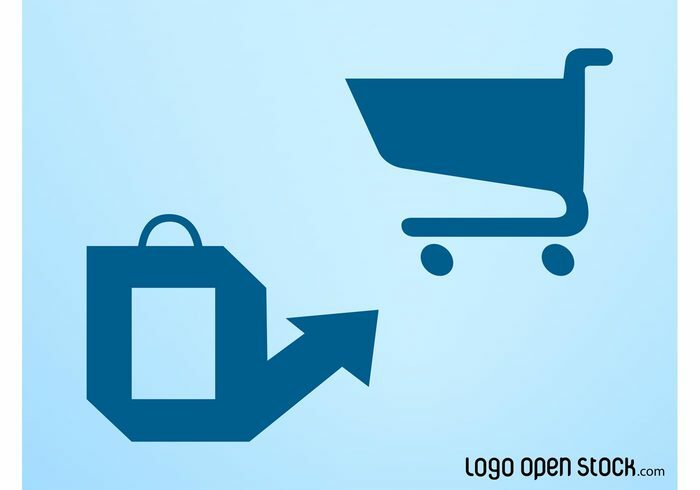 Shopping and commerce vector layout with silhouette logos. Supermarket shopping cart seen from the side and shopping bag with arrow. Stock vector logos for online stores, supermarkets, departments stores and shopping malls. Free graphics for icons, public signs and logos. Click here to free download this file !